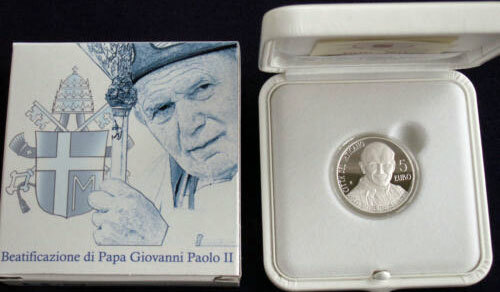 Official Vatican City 5 Euro silver proof coin commemorating the beatification of Pope John Paul II. Includes original plush case and certificate. Mintage of only 9.500 pieces.